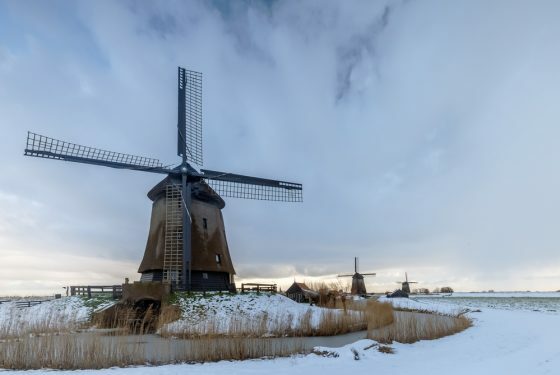 The big freeze currently hitting the Netherlands will push energy bills up by an average €23 or 15% per household, energy supplier Essent told Algemeen Dagblad on Thursday. The average 4-person household consumes 203 m3 of gas during a ‘normal’ February, but the cold days at the end of the month added another 23m3, or 5m3 a day, bringing the total gas bill to €176, Essent said. Eneco was more direct, advising its customers to dress up warmly and to lower the thermostat by a few degrees. However, the mild weather in December and January mitigated against the lower temperatures and higher bills this week. Essent estimates that each household saved an average €22 in those two months. In practice, no one will notice the higher February energy bill because most households pay a fixed monthy amount which is adjusted at year’s end. Nor is the Netherlands about to run out of gas, despite the decision to turn down extraction from Groningen. There is a sufficient stockpile, gas producer NAM said.